Architect and interior designer Alexey Aladashvili was in charge of designing the vital private home located in the south east of European Russia, Rostov. The project used several companies of PORCELANOSA Group in the design by Alexey Aladashvili: URBATEK with one of its star products, XLIGHT Premium White Nature , and toilets and taps by NOKEN. 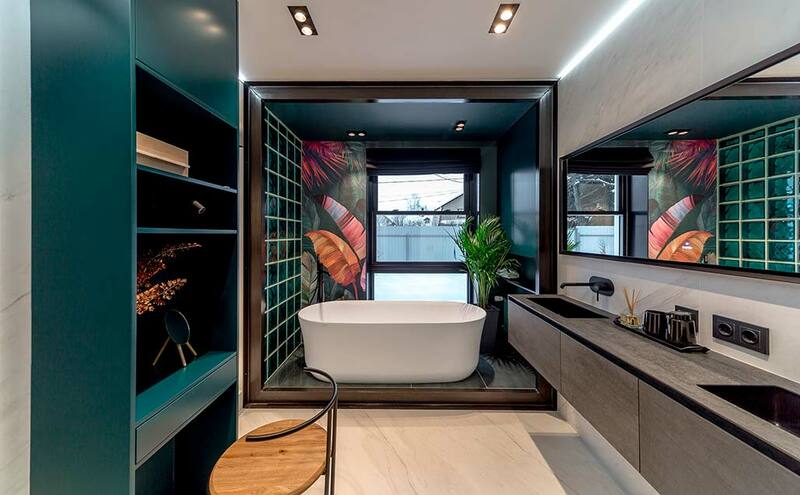 To accompany these materials, the freestanding ARCH bathtub from KRION Bath was used, with an oval format, on this occasion selecting its 170x75 and 51cm tall measurements, due to its “double ended” option for this large, bright space.